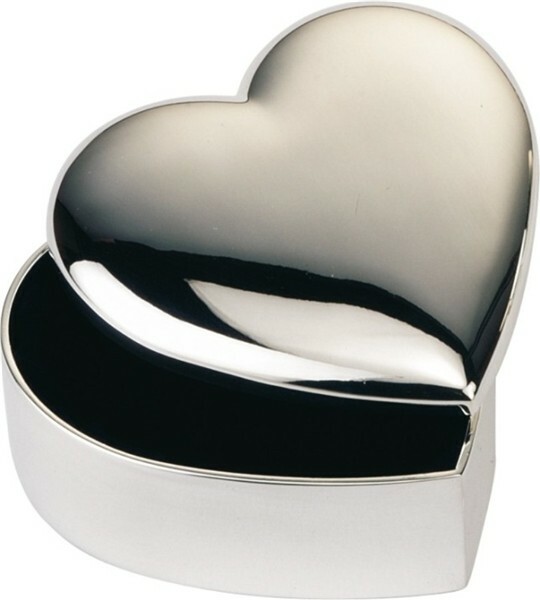 This is a beautiful heart shaped trinket box. Another gift that's especially good as bridesmaids gifts. The box itself is a nice, heavy design giving it a really good quality feel. It's lined with an elegant dark blue lining. 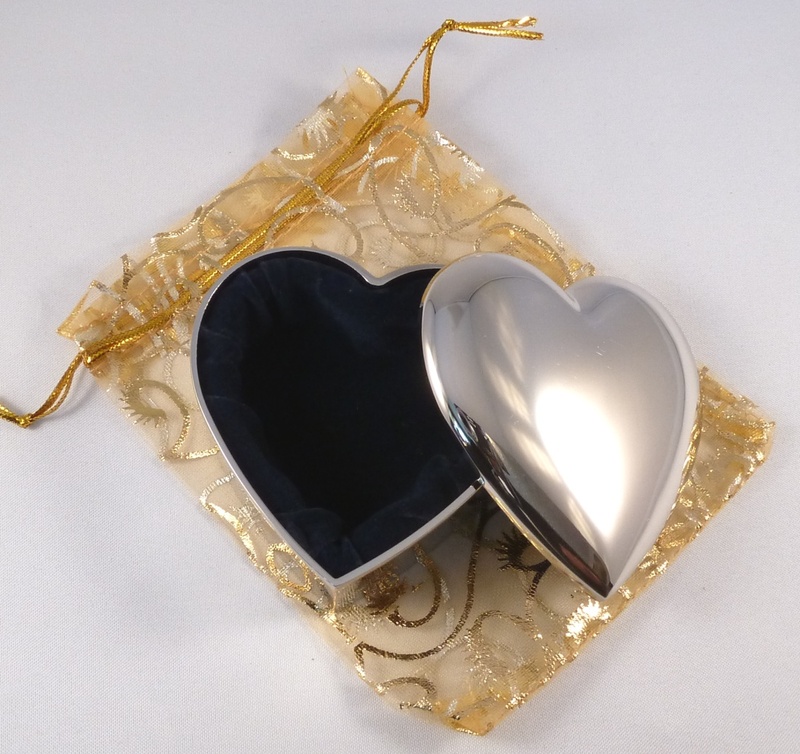 It comes with free engraving - your choice of personal inscription. It's supplied with a lovely champagne coloured organza bag which makes presenting it as a gift a real pleasure. shipped using first class postage for a speedy delivery. On the trinket box we engrave up to 3 lines of 15 characters each (including spaces).